Mit seiner ersten institutionellen Einzelausstellung in Deutschland hinterfragt Markus Hoffmann (*geboren 1982 in Passau) das ästhetische Potential von radioaktiver Strahlung und ihrer sozio-politischen wie auch persönlichen Implikationen mit seinen recherche-basierten Arbeiten. Markus Hoffmann fokussiert sich dabei auf die Fähigkeiten und Grenzen des Betrachters, sich mit seiner Umgebung in Bezug zu setzen und entwickelt seine ästhetischen Setzungen oftmals anhand von Randphänomenen der Wahrnehmungsfähigkeit. Hierbei stellt die natürliche sowie von Menschen forcierte Radioaktivität ein besonders faszinierendes, und doch kulturell stark mit Ängsten und Vorurteilen besetztes (Natur-) Phänomen dar, das Markus Hoffmann eindrücklich visualisiert und für unterschiedliche Sinne erlebbar macht. Dabei ist Radioaktivität für Hoffmann zugleich Material seiner künstlerischen Setzungen, reflektierter Inhalt, wie auch Konzept der ästhetischen Formfindungen. Das für menschliche Wahrnehmungsrezeptoren schwer fassbare Element wird in vielschichtigen und hintergründigen Objekten, Installationen, Filmen und Radiographien thematisiert und wahrnehmbar gemacht. Die Ausstellung „nuclear sanctuary“ bietet einen Überblick über unterschiedliche Werkreihen und Themengebiete Hoffmanns, die sich mit der Transformation von Materialitäten und der Sichtbarmachung ungreifbarer Stofflichkeiten, wie Radioaktivität, beschäftigen. Seine transdisziplinäre Arbeitsweise und sein großes Interesse an Hintergrundwissen und der Geschichte des menschlichen Umgangs mit Radioaktivität fokussieren dabei auf das nicht bewusst wahrnehmbare Potential radioaktiver Strahlung, aber auch der uns umgebenden Welt mit ihren Ressourcen und ihrer Verwundbarkeit. Thematiken wie Vergänglichkeit und Zeitdimensionen – beim Verfall radioaktiver Teilchen eine kaum real fassbare Dimension – prägen eine weitere Ebene seiner künstlerischen Arbeiten. Insgesamt weckt Markus Hoffmann bereits in jungen Jahren mit seiner sehr eigenen Ästhetik auf tiefgründigen Ebenen eine weitergehende Reflektion unserer Wahrnehmung und unseres Verhältnisses zu der uns umgebenden Welt auf eine Weise an, die noch eine weitreichende künstlerische Karriere erahnen lässt. Markus Hoffmann studierte Bildende Kunst an der Universität der Künste Berlin an dem von Prof. Olafur Eliasson gegründeten Institut für Raumexperimente, sowie Medizin an der Charité in Berlin. Seine Arbeiten werden international ausgestellt und wurden bereits durch mehrere Stipendien unterstützt, unter anderem in einer Residency der Stiftung Bauhaus in Dessau. Hoffmann wurde 2015 der Meisterschülerpreis des Präsidenten der Universität der Künste in Berlin verliehen. 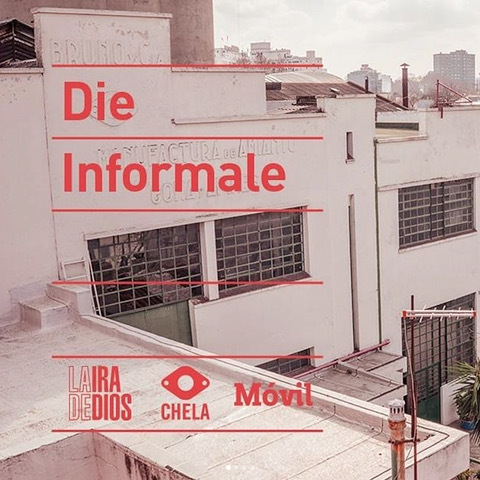 Durchstechung BA/B at "Die Informale" opening at La Ira de Dios for Art Basel Cities Buenors Airesopen-studio-reception Opening Monday, 10 September 2018, 3–6pm cheLA Iguazú 451 Buenos Aires Argentina As part of the Art Basel Cities Buenos Aires La Ira de Dios and Móvil open cheLA doors to the public and join forces with Die Informale. The combined kick-off and open-studio-reception feature an installation by Felix Kiessling establishing an imaginary connection between Buenos Aires and Berlin, a screening and video-objects by Uros Djurovic as well as works by the participants of the current Kitchen in Process residency program curated by Tainá Azeredo, Director of Casa Tomada (São Paulo, Brazil). And Berlin mixologist Herr Lindemann will serve specifically conceived drinks to introduce the idea of a social food sculpture by Anne Duk Hee Jordan. Durchstechung BA/B at "Die Informale" opening at La Ira de Dios for Art Basel Cities Buenors Airesopen-studio-reception Eröffnung Montag, 10. September 2018, 15 – 18 Uhr cheLA Iguazú 451 Buenos Aires Argentina As part of the Art Basel Cities Buenos Aires La Ira de Dios and Móvil open cheLA doors to the public and join forces with Die Informale. The combined kick-off and open-studio-reception feature an installation by Felix Kiessling establishing an imaginary connection between Buenos Aires and Berlin, a screening and video-objects by Uros Djurovic as well as works by the participants of the current Kitchen in Process residency program curated by Tainá Azeredo, Director of Casa Tomada (São Paulo, Brazil). And Berlin mixologist Herr Lindemann will serve specifically conceived drinks to introduce the idea of a social food sculpture by Anne Duk Hee Jordan. house of bone body of stoneSolo Show Opening 08 September 2018 Reiter Galleries Leipzig Spinnereistraße 7 / Halle 6 04179 Leipzig REITER galleries is proud to present House of bone body of stone a solo show by Dan Stockholm. Fascinated by places and architecture with an innate historical significance and narrative tension, Dan Stockholm practices a “creative archaeology”, which includes field research and work with various findings. His recent work evolves from what he calls “performative process,” a method that turns the finished piece into a vessel which carries the story of its own making. 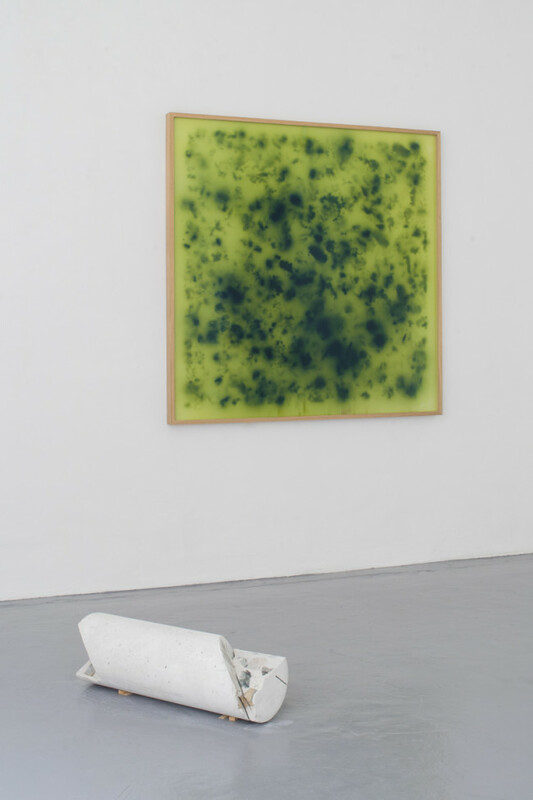 Stockholm uses sculpture as an interface, link, or passage through which places and bodies – across temporal as well as spatial distances – are set in relation to each other. Architecture is a frequent reference point of his work, as he centers on on the conceptual fields of present and past, presence and absence, fleeting and enduring. Thus, objects which emerge in different temporal moments are concentrated. They begin to embody the analogy of the inscription of light traces in the photographic negative that maintain an indexical relationship to the past. It serves as sculptural containers fixing a presence like an imprint and so transposing the sculptural object into the present even when it is only a fleeting glimpse that materializes so enduringly in this way. Stockholm’s understanding of sculpture as a medium of storage and transmission, driven from his archaeological interest, is clarified in his work HOUSE. The process for HOUSE began in 2013 only days after his father’s death, when the artist in a three-day performative and almost ritual fashion methodically touched the exterior of his father’s entire house centimeter by centimeter. The process ends with Stockholm translating this act of touching into object form by producing a number of negative plaster casts of his hands. The casts are fixed by metal rods, which simultaneously offer protective anchorage and oppressive restriction. Metal scaffolding connects the floor and ceiling of the exhibition space and serve as displays for his organic plaster sculptures. HOUSE is supplemented by the film Don’t think about death a filmed performative interaction where inhabitants of Damascus use a collection of architectural fragments of their city as tools to create drawings directly on the ground. Don’t think about death is made in collaboration with Syrian artist Nourhan Sondok. In spite of the dangers faced in Syria, Nourhan has been collecting architectural fragments from all over Damascus. The fragments are compiled from a wide spectrum of constructions: from 4000-year-old columns; to newly constructed buildings destroyed in the Syrian conflict. Stockholm and Sondok met on social media, and from behind their screens in Copenhagen and in Damascus, their correspondence also led to the work Untitled (Fragments, Damascus 2017) a photo series and archive of images showing Nourhan’s hands handling the fragments used in Don’t think about death. Also on view in the show is the interactive site specific glass work: Level (Blue Mare, Königsblau). Trapped between two panes of glass, colored ink changes its form and concentration according to the tilt of the exhibition space and the movement of the audience who are invited to walk on the glass. 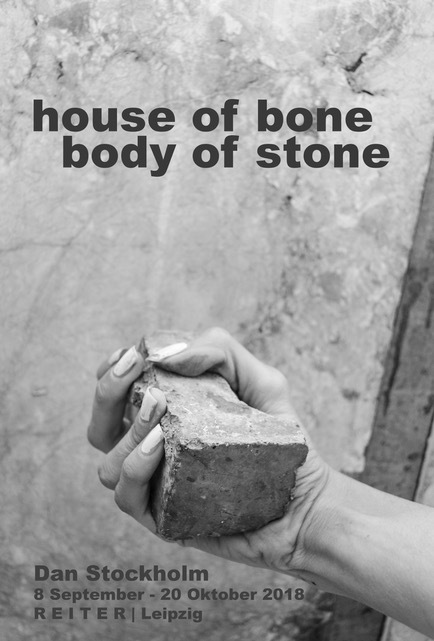 house of bone body of stoneSolo Show Opening 08 September 2018 Reiter Galleries Leipzig Spinnereistraße 7 / Halle 6 04179 Leipzig REITER galleries is proud to present House of bone body of stone a solo show by Dan Stockholm. Fascinated by places and architecture with an innate historical significance and narrative tension, Dan Stockholm practices a “creative archaeology”, which includes field research and work with various findings. His recent work evolves from what he calls “performative process,” a method that turns the finished piece into a vessel which carries the story of its own making. Stockholm uses sculpture as an interface, link, or passage through which places and bodies – across temporal as well as spatial distances – are set in relation to each other. Architecture is a frequent reference point of his work, as he centers on on the conceptual fields of present and past, presence and absence, fleeting and enduring. Thus, objects which emerge in different temporal moments are concentrated. They begin to embody the analogy of the inscription of light traces in the photographic negative that maintain an indexical relationship to the past. It serves as sculptural containers fixing a presence like an imprint and so transposing the sculptural object into the present even when it is only a fleeting glimpse that materializes so enduringly in this way. Stockholm’s understanding of sculpture as a medium of storage and transmission, driven from his archaeological interest, is clarified in his work HOUSE. The process for HOUSE began in 2013 only days after his father’s death, when the artist in a three-day performative and almost ritual fashion methodically touched the exterior of his father’s entire house centimeter by centimeter. The process ends with Stockholm translating this act of touching into object form by producing a number of negative plaster casts of his hands. The casts are fixed by metal rods, which simultaneously offer protective anchorage and oppressive restriction. Metal scaffolding connects the floor and ceiling of the exhibition space and serve as displays for his organic plaster sculptures. HOUSE is supplemented by the film Don’t think about death a filmed performative interaction where inhabitants of Damascus use a collection of architectural fragments of their city as tools to create drawings directly on the ground. Don’t think about death is made in collaboration with Syrian artist Nourhan Sondok. In spite of the dangers faced in Syria, Nourhan has been collecting architectural fragments from all over Damascus. The fragments are compiled from a wide spectrum of constructions: from 4000-year-old columns; to newly constructed buildings destroyed in the Syrian conflict. Stockholm and Sondok met on social media, and from behind their screens in Copenhagen and in Damascus, their correspondence also led to the work Untitled (Fragments, Damascus 2017) a photo series and archive of images showing Nourhan’s hands handling the fragments used in Don’t think about death. Also on view in the show is the interactive site specific glass work: Level (Blue Mare, Königsblau). Trapped between two panes of glass, colored ink changes its form and concentration according to the tilt of the exhibition space and the movement of the audience who are invited to walk on the glass.